On the sidelines of Renault Scala Launch in New Delhi India on 7th September 2012, Mr. Marc Nassif – MD – Renault India shared with us some interesting insights of the Renault India. Some interesting information related to the Renault Duster, which is the recently launched compact SUV from Renault India were shared by Nassif. First detail was that Renault Duster has crossed 15000 booking so far with more and more booking coming in at a rate of approximately 4000 new booking every month since the launch of Duster In India. To cater to the demand of Renault Duster in India, Renault has started 3 shifts at its production facility and is producing the Duster 24 hours a day to roll out about 300 Renault Dusters each day from the assembly line. 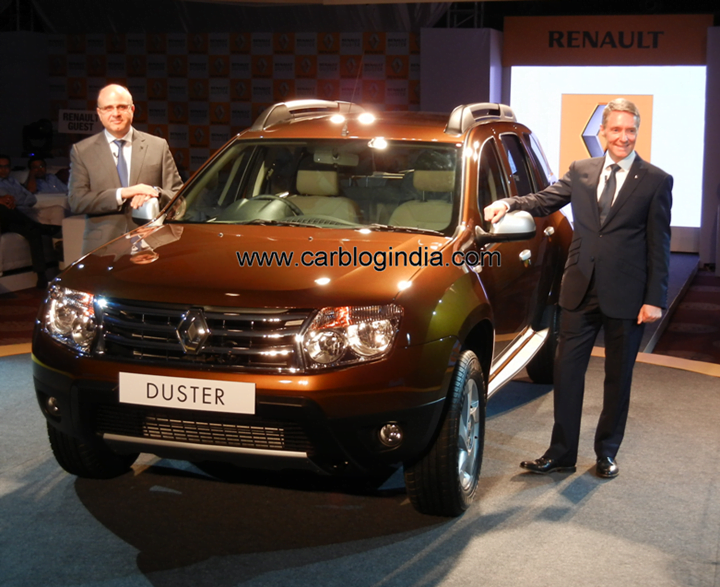 Duster had increased the overall sales number of Renault India to impressive levels as Renault India recorded a sale of 4000+ vehicles in August 2012 from as low as round 1000 cars sold in January 2012. This is a result of high sales (of about 3100 units) contributed by Duster only. 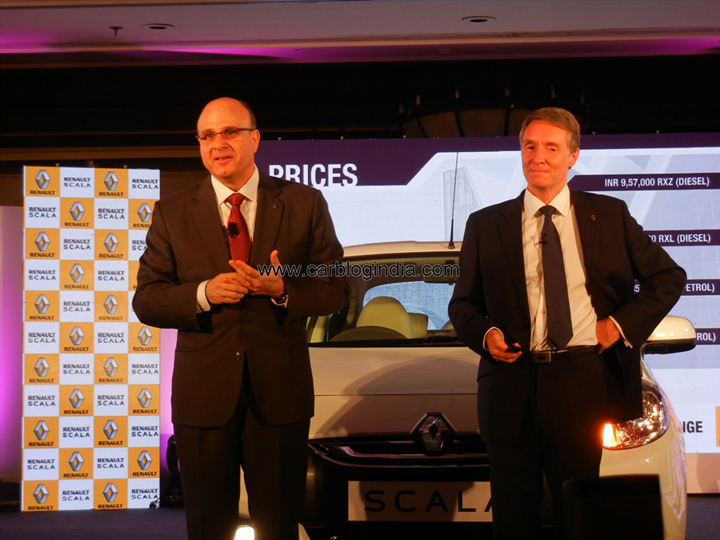 Other offerings from Renault in India include the small car Pulse (Micra’s sibling), Fluence sedan, Koleos SUV and recently launched Scala which is a re-badged version of Nissan Sunny. Revealing more information about Duster, Nassif told us that exports of Duster from India to UK will start before the end of 2012, thus the increased capacity of Duster at Indian plant will help cater to Indian as well as export demand of Duster from India. In India, the 85 PS variant of the Duster is selling quite well and the Brown colour is also quite popular with Indian buyers. Duster does offer a good alternative to sedan buyers to opt for a more sporty and spirited vehicle in the same price brand. Duster provides a good balance between sportiness, practicality, compactness and drivability making it one of the preferred choice especially among youth buyers who love to own an SUV but don’t have too deep pockets. Since there is practically no competition to Duster as of now in India until the EcoSport comes by early 2013, Duster will continue to enjoy the early-bird advantage as well. 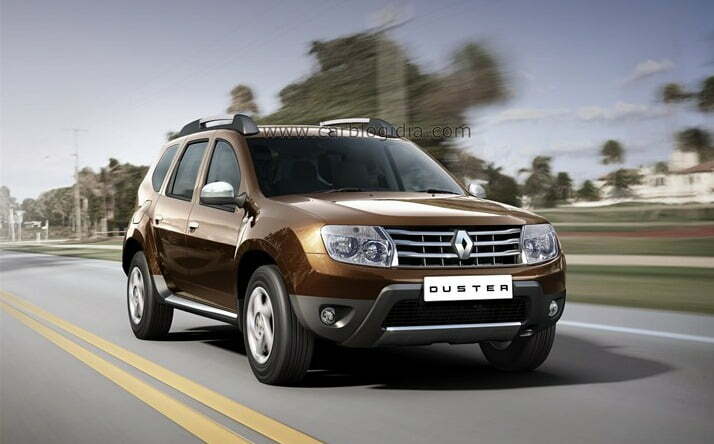 We will keep you posted on more details on the Renault Duster, stay tuned to Car Blog India.